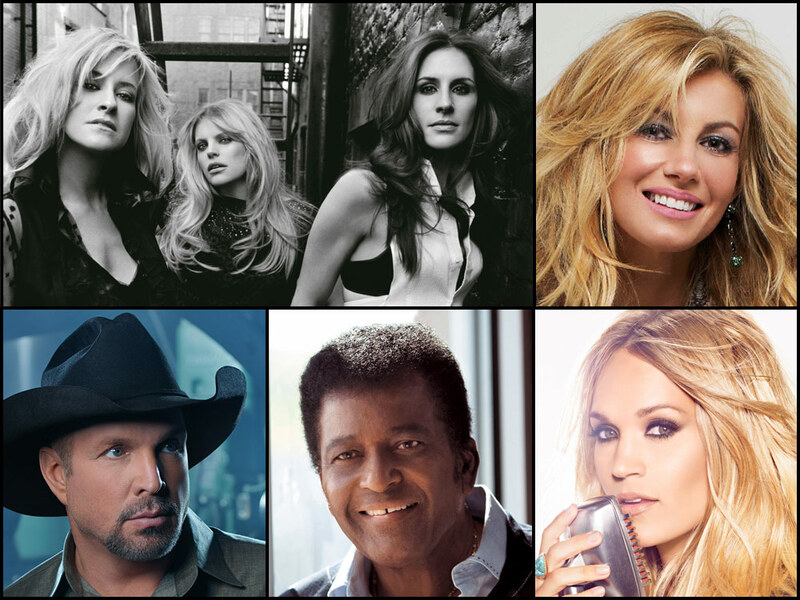 In the 50-year history of the Super Bowl, only five country artists have performed the national anthem before the big game: Charley Pride, Garth Brooks, Faith Hill, Dixie Chicks and Carrie Underwood. At Super Bowl LI (51) this year, Luke Bryan will add his name to the list as he sings “The Star Spangled Banner” before the Patriots and Falcons play on Feb. 5. In addition to the aforementioned list of country stars, a few other artists with country ties have performed the national anthem at the Super Bowl, including Neil Diamond in 1987 (don’t you recall his 1996 country album, Tennessee Moon? ), Jewel in 1998 and Kelly Clarkson in 2012. But Charley, Garth, Faith, the Chicks and Carrie are the only PURE country songsters to tackle the anthem, which is no easy task considering that more than 70,000 people will be at this year’s game to watch Luke, and millions more will be watching around the world. Take a look at our country contingent perform the anthem at their respective Super Bowls.